Born of an arid desert, today Dubai is a city where everything seems possible: the exuberant architecture and human creations defy the most active imagination. The city incarnates the new Arab dream and is the second largest of the United Arab Emirates. 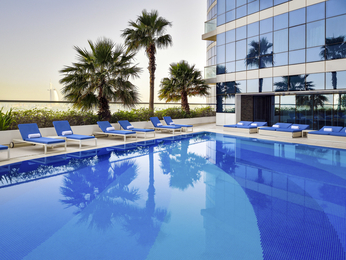 Discover it by booking a stay with Novotel. 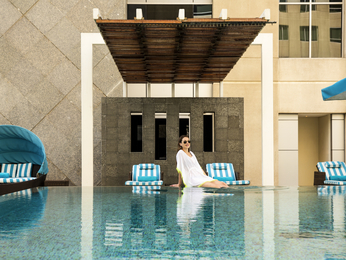 Our hotels in Dubai welcome you to an exclusive setting. You will remember the city’s futuristic buildings, such as Burj Al-Arab Burj Khalifa, its artificial islands such as Palm Jumeirah, its immense Dubai Mall, or indeed the indoor Dubai Ski, built from scratch. During your stay in Dubai, you should enjoy an unavoidable attraction: an afternoon and evening off-road trip to the dunes. Within the city proper, several sites are worth a visit, like the very beautiful Grand Mosque of Dubai or the Jumeirah mosque with its modern Islamic architecture. You will see its double minaret and its façade which lights up at night. To find out about the culture of Dubai, visit the city’s oldest building, the Al Fahidi Fort, which is also the city’s main museum, to discover all the ancestral traditions of Dubai. If the unimaginable exists, it is in Dubai. Discover this exuberant city for yourself. 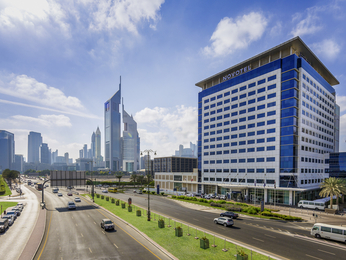 The four Novotel hotels in Dubai will give you the best possible welcome.